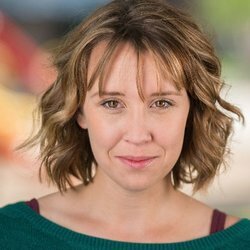 Katelyn Gault is a California native and actor who began professionally acting while earning her BFA Theatre degree from Chapman University. After spending many years working in film, television and theatre in Los Angeles, the stars aligned and she met her now husband, voice actor Kyle McCarley. Recently Katelyn has followed in her husband's footsteps and has transitioned into voice acting herself. Most recently, Katelyn has been featured in the new anime dub, Little Witch Academia in two roles (Professor Nelson, Professor Babcock). She's also lent her voice to various video games, live action dubs and animated features TBA. Katelyn also serves as an Associate Artistic Director for Coeurage Theatre Company, and is writing/developing a comedy series inspired by her work playing the Princess at Medieval Times. Katelyn enjoys hiking, crafting, and yoga. She currently resides in Los Angeles with her husband Kyle, her urban family, a snow beast feline, and judgmental pet ewok. You can find more info on her website www.katelyngault.com, follow her on Twitter @katelyn_gault, and hang out with her on Kyle's twitch stream (twitch.tv/kylemccarley). Notable VO credits: Little Witch Academia, and others TBA. Notable film/tv credits: Medium, Days of Our Lives, Fire and Ice, Vampire Killers, Debt, You Shouldn't Have. Notable theatre credits: The Tempest (Shakespeare OC), Love's Labour's Lost (SBTS), Wicked Lit (Unbound Productions), and Medieval Times Dinner and Tournament (Buena Park). "